The Air Ambulance Service's Helicopter Emergency Medical Services (HEMS) and Derbyshire, Leicestershire & Rutland Air Ambulance (DLRAA) were called out to two separate incidents at Kinder Scout in the Peak District over the bank holiday weekend. On Saturday 24th May, Warwickshire & Northamptonshire Air Ambulance (WNAA) was called out following reports of a climber who had been taken ill at the top of Kinder Scout. WNAA worked alongside the mountain rescue service to try and locate the patient. The crew landed near to the incident at around 6:43pm. The patient, a 58-year old man, was assessed by the crew and treated for exhaustion. He was then airlifted to Edale where he was handed over to a local paramedic and further assessment from East Midlands Ambulance Service. 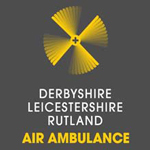 On Monday 26th May, WNAA's sister service, Derbyshire, Leicestershire & Rutland Air Ambulance (DLRAA), was called out to the same area after a walker who had fallen and sustained ankle injuries. 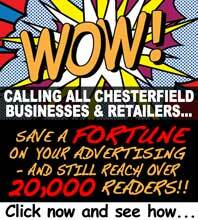 Due to the remote location and lack of road access, the 49-year old man was immobilised before being airlifted to Northern General Hospital in Sheffield for further treatment. The crew landed at the hospital at approximately 3:05pm. During the Spring, The Air Ambulance Service usually see a rise in the number of rescue missions for people injured whilst taking part in outdoor activities, such as cycling. One in five rescue missions in April and May last year involved an injury from an outdoor activity. The Charity, which receives no Government funding, is calling upon its supporters to donate to the service, so that its crew can help people stay safe this Spring. To make a donation, please call 08454 130999, or visit www.theairambulanceservice.org.uk/getsetspring.